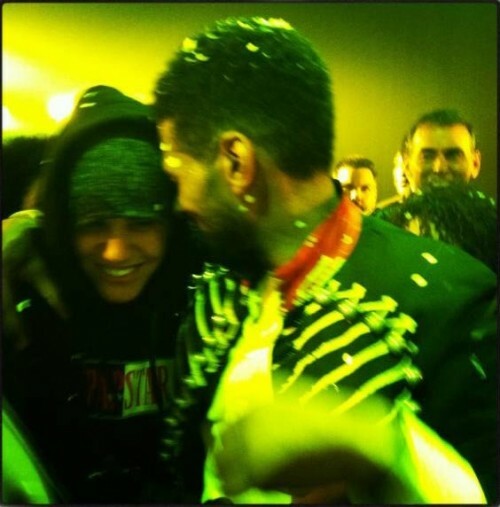 Justin Bieber and Usher Friday night at Fuerza Bruta. Usher debuted his new album in an unconventional way. He danced to his new music as part of the off-Broadway play “Fuerza Bruta: Look Up” in New York City. Tell them to perform in Lancaster,Pennsylvania. NOW I AM I LIKE THE SONG GLADE U CAME BY THE WANTED HBU 🙂 ? I know that Taylor Swift is Harry’s crush. Harry: Rumor! It’s such a rumor. I swear.me and her never hang out.but she nice. INTERVIEW ON SATURDAY NIGHT,MACY HOMES INTERVIEW.!!! JK.i like harry styles i would never pretend to be him that would just be so mean!!! Wtf?! This is not texting, dumbass. It’s called TYPING. Texting is on a phone. Learn the diffrence, slow body. YOU SHOULD LEARN HOW TO SPELL.IM YOUNGER THAN YOU AND I SPELL BETTER THAN YOU !! EVEN THOUGH I, NOT LOOKING AT KEYBORD.